We love our no-makeup makeup looks, but whenever there's a special occasion, we like to switch things up by putting bright colors on our eyelids or amping up the shine on our lips. One of the celebs we always go to for inspo? Claudia Barretto! 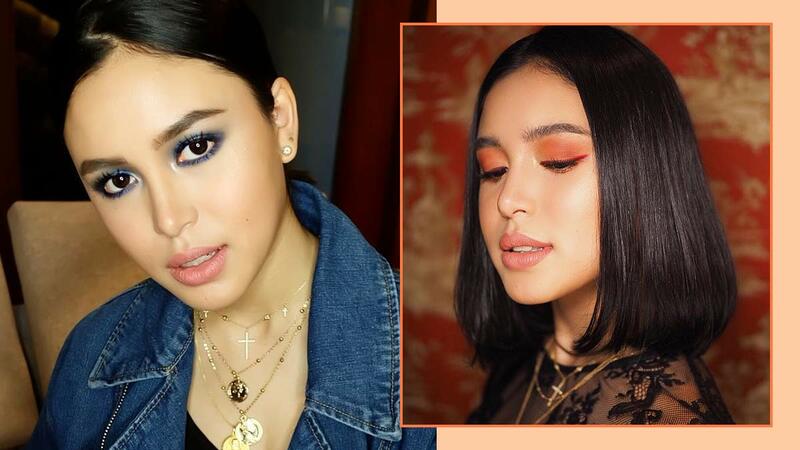 The 19-year-old—who b-t-dubs bears a striking resemblance to Dua Lipa—has never been short on the eye-catching MOTDs. Below, a roundup of our favorites! How can you make a denim-on-denim outfit look extra? Match your eye makeup to it! A pale pink lip and wet, messy hair beautifully complement her bronze smoky eye. A glittery purple winged eyeliner is perfect for those who like bold, yet low-key, eye lewks. Here's an idea on how you can try 2019's Pantone Color of the Year, Living Coral! Claudia looks like a disco queen with her metallic gold eyelids! Don't you agree? Pairing a barely-there lip color and a natural-looking complexion with violet lids can create a day-to-night appropriate MOTD. Who says you can't wear fuchsia on your lids? Make it look edgier by wearing an ear cuff! There's nothing more glamorous than Claudia's "winged" out eyeshadow and silver shimmer! We're definitely wearing this to the next wedding we're invited to.